Picking the right hotel is a key decision on almost any trip, especially if romance is on the agenda. 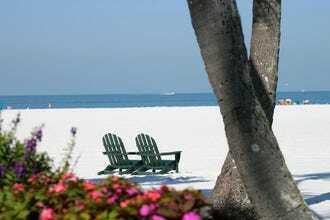 The options in Fort Myers are extensive and varied with dozens of waterfront spots. And while you may think beachfront equals romance, that is sadly not the case. The smell of mildew or noise of party-goers is not exactly a great precursor to passion. 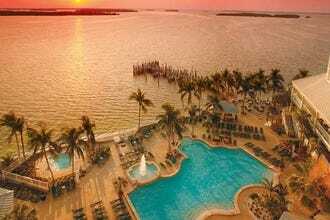 Sanibel Harbour Marriot Resort and Spa has long been regarded as a top place to stay in Fort Myers. It's location, just across the water from Sanibel Island, has remained desirable for both locals and tourists desiring a tropical getaway;its spa also offers some unique couples experiences. 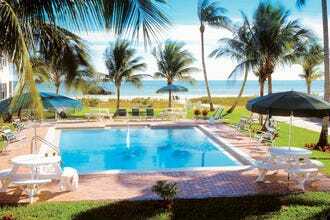 While the Captiva Island Inn doesn't have the same amenities of a corporate resort but it makes up for it with charm and a laid back island attitude. Enjoy the guest house with a rooftop honeymoon suite, or one of the several smaller cottages with kitchenettes, porches and other basics. 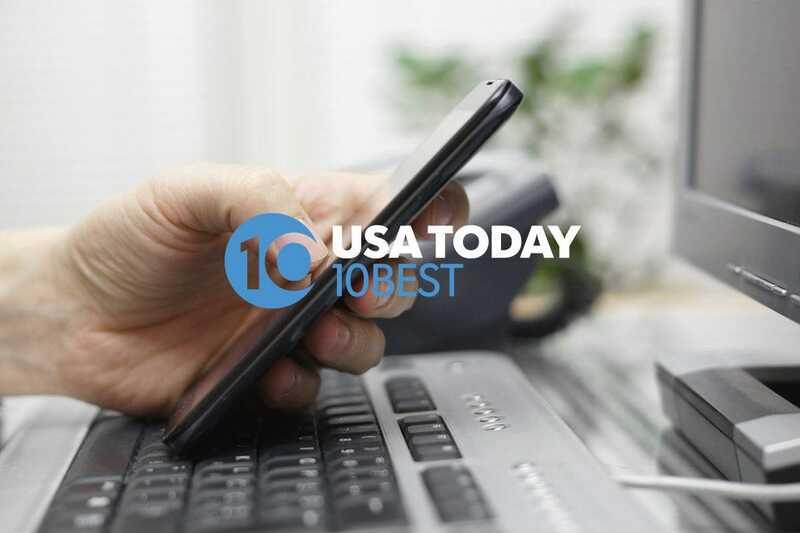 No matter what your definition of romance encompasses, at least one of these 10Best is sure to fit the bill. 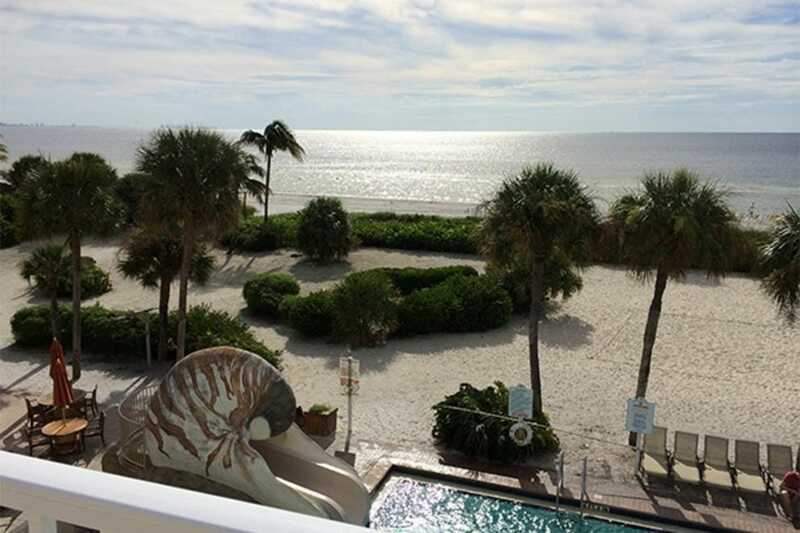 Located along beautifully maintained beachside acreage, the Sundial Beach Resort offers an inviting environment in which to relax and soak up the Florida sun. A longtime favorite for locals and tourists, the Sundial recently underwent a multi million dollar renovation that includes a relaxing spa among other things (the pedi chairs line glass windows facing the beach.) Dress up for a romantic dinner and enjoy one of the best views of the sunset from the new Japanese restaurant Shima or the more casual Seabreeze and Terrace. Stay in your choice of newly upgraded condominium suites, many with beach views. Rooms offer full kitchens, dining and living area so you'll never have to leave your island paradise once you arrive. The name alone provides an expectation of romance, Lovers Key Resort. This resort is tucked between on Fort Myers Beach and Bonita Springs on a small, almost private island. The resort suites range from 600-800 square feet with kitchens, private balconies and other amenities. But for real romance and luxury, book a Penthouse Suite with floor to ceiling windows and vaulted ceilings. You'll be able to catch both the sunrise and the sunset from your balcony, along with spectacular views of the Estero Bay and Gulf of Mexico. One of the states topped ranked beaches is just across the street, Lovers Key State Park. The dining at Flippers on the Bay is al fresco and fabulous, with daily dolphin shows, courtesy of Mother Nature. 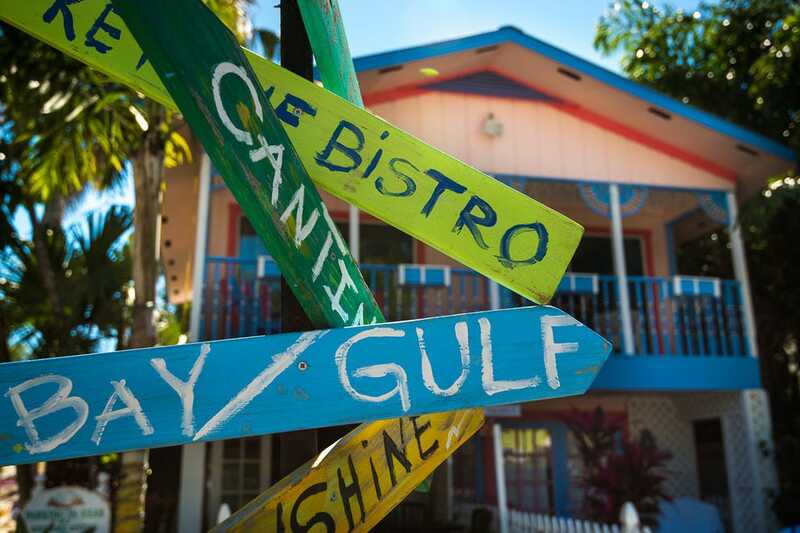 A winding drive through Pine Island is part of the fun of getting to Tarpon Lodge. Staying here gives you a glimpse into the so-called "old Florida," days gone by, where time slows down and superb service takes over. The white lodge is surrounded by lush green grass, swaying palms, blue skies and lapping water of the Pine Island Sound. The vibe is that of a bed and breakfast vibe. The lodge has eight unique bedrooms, original wood floors, a fireplace, a cozy bar, and a top rated restaurant. For guests who want larger accommodations and more privacy, the property offers a two-bedroom boathouse and a private cottage. Take a boat from the marina to neighboring barrier islands for the day. This is a place to unplug and enjoy the one you're with. 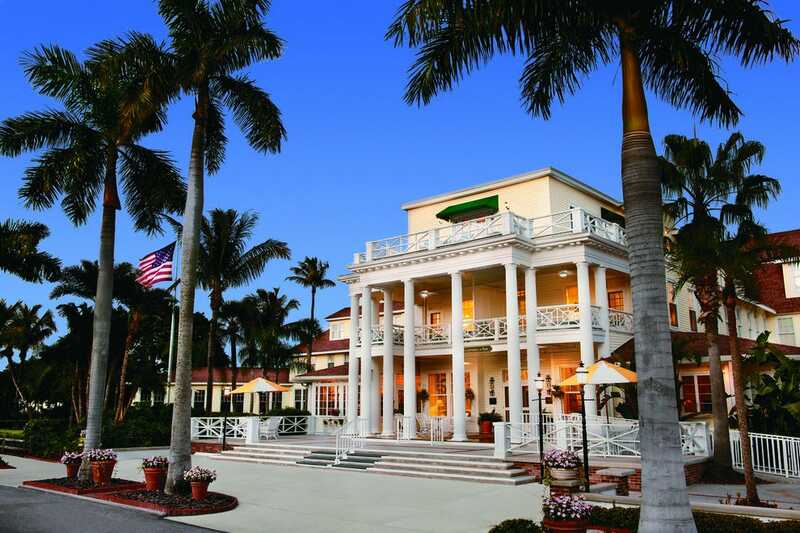 The Gasparilla Inn & Club has been operating in the heart of Gasparilla Island since 1913. 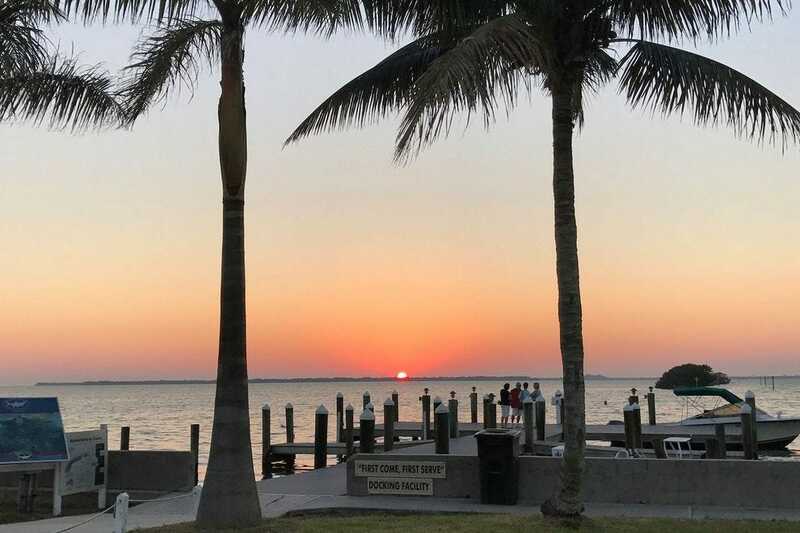 The barrier island, known worldwide for sport fishing, straddles Lee and Charlotte Counties, but locals like to claim it as part of "greater Fort Myers." The Inn's motto is "Florida as it was meant to be;" natives agree. Surrounded by sparkling blue water, flowering plants and palm trees, the stately hotel has been a longtime playground for the rich and famous. Although the main Inn has lots of room, for more romance and privacy, book a cottage or villa, many of which have fireplaces, lanais and the like. Be sure to dress for your dinner date in the main dining room or you may not be seated. You'll be delighted with the expertly prepared meals, an impressive wine list and impeccable service. Cabbage Key is a 100-acre, rustic island about twenty miles northwest of Fort Myers, accessible by water taxi from Pineland Marina on Pine Island (if you don't have a boat of your own.) The island is lush with tropical foliage and trails for exploring. The Cabbage Key Inn and Restaurant sits high atop an Indian shell mound. Built in the 1930's, the Inn has an open-air restaurant serving breakfast lunch and dinner. There are hard wood floors, a piano in the bar and dollar bills covering the ceiling and walls. Legend has it, Cabbage Key was the inspiration for Jimmy Buffet's smash hit, "Cheeseburger in Paradise". While there are rooms in the Inn, opt for one of the seven, private cottages that surround it. Some have private docks and sunset views. The island is intoxicatingly relaxing. 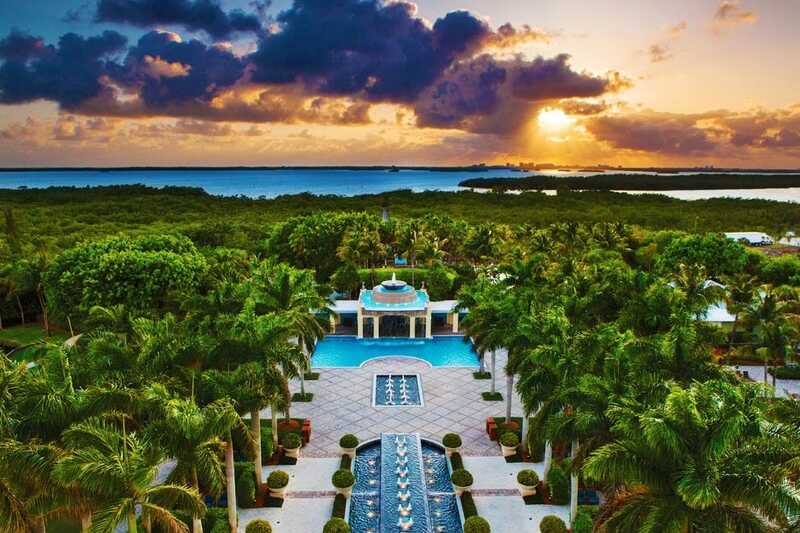 This stately resort is situated on 80 acres, just before the Sanibel Island Causeway. Rooms have sunset views of San Carlos Bay and several barrier islands including Sanibel. The private balconies are perfect for enjoying room service. Good for couples who like activity, the resort offers both indoor and outdoor swimming pools, 13 tennis courts, and a fabulous spa and fitness center. You'll find some unique couples services and spa packages, perfect for romance. Walk to the spa through the mangroves, on a shady boardwalk and enjoy native plants and wildlife along the way. Find your center with yoga on the beach, relax with cocktails on "Charley's" terrace, or take a sunset dinner cruise from the resort's dock. The 320 rooms come with all of the amenities one would expect, there are even suites and condos on property if you desire more space. Found on 23 acres of beachfront property, this resort offers wondrous views of the Gulf of Mexico, along with well-appointed rooms. These one and two-bedroom condos come equipped with all of modern luxuries you would expect. A full kitchen allows you to make your favorite romantic dinners or even better, let the expert chefs here prepare something special at one of two, water front dining spots. There is even a wine room to explore. Spa services can be booked privately in your room as well as sea side. The grounds are beautifully landscaped with lots of room for quiet conversations. And although the resort is slightly off the beaten path, it is sill a quick bike ride to shopping and nature preserves. The Captiva Island Inn is situated in the heart of Old Captiva; perfect if you are looking for a cozy island vibe. The Inn consists of a spacious, five bedroom home surrounded by a dozen unique cottages. The honeymoon suite takes up the top floor of the main house; with a private deck and a kitchenette. 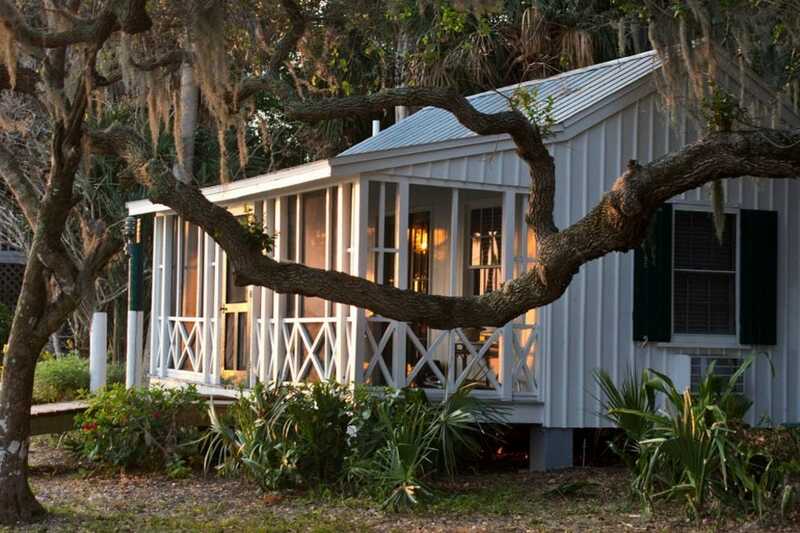 The famous Orchid cottage is where Charles Lindburg and his family vacationed. Regardless of the room you book, all are about 360 steps from a spectacular beach full of beautiful white sand, lots of shells and clear blue water that dolphins frequent. The short stretch of beach road is lined with more cottages, galleries and some inviting restaurants. Book a couples massage in the privacy of your special room and enjoy this island oasis. This award winning resort is much more than a beach destination near Fort Myers, its secluded location and wealth of amenities paint a perfect picture for romance. The beautifully manicured grounds come alive at night with tiki torches and twinkling lights. 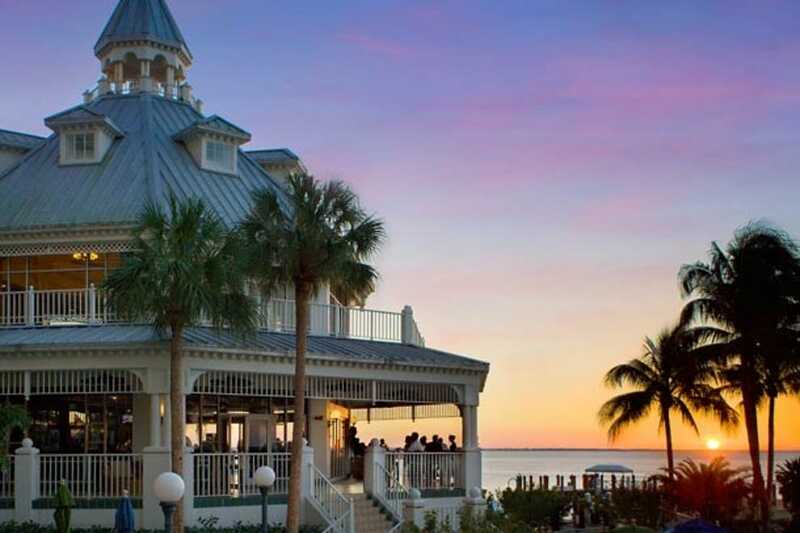 The Tarpon Bay restaurant overlooks an estuary lake and a beautiful gazebo, where many proposals take place. You can snuggle up to your significant other around two fire pits; one serves cocktails, the other serves Smores. Indulge at the luxurious, full-service Stillwater Spa with a couples massage or hop aboard the water taxi for the hotel's pristine, private island beach. 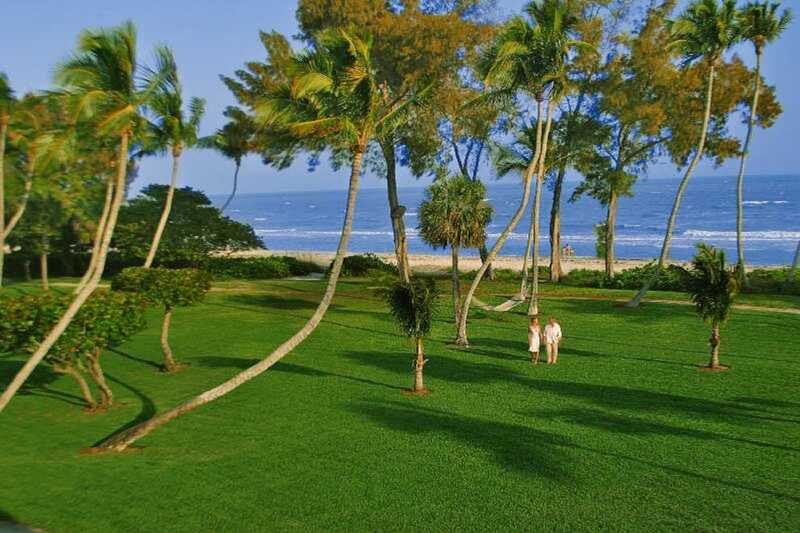 Stylish suites and guest rooms overlook gardens and the lush Estero Bay Aquatic Preserve. When booking your room, ask about the "Romance Package" which includes perks like champagne, strawberries and an all important, late check out. This luxurious, beautifully manicured beach-to-bay resort is situated on the northernmost two and a half miles of exclusive Captiva Island. Once you check in, ditch your car keys and take a trolley from point to point. Or rent a golf cart or bicycle to get around if you desire. There are multiple lodging options including beach cottages and villas with a private swimming pool. For a night of romance, have one of the resort's chefs cook a special meal in your cottage. You might also stay in one of the Homes of Distinction, like the Soraya; reminiscent of Bali, complete with a waterfall. Book sunset cruises and private excursions to nearby islands from the resort marina and have the concierge sprinkle your room with rose petals while you're out.